We’ve all seen and heard them: the TV ads and the radio commercial promises touting bankruptcy as a “fresh start” to help you get rid of overwhelming bills. While it’s true that Chapter 7 bankruptcy can wipe out many consumer debts, such as credit card payments and medical bills, it’s also the case that a lot of different types of debts don’t get eliminated in bankruptcy court. Additionally, Chapter 13 bankruptcy—which consumer advocates say many African-Americans have been steered into recently—isn’t designed to allow you to completely walk away from your debts, but rather to reorganize your finances and pay off debt over a period of three to five years. So before you take the step of filing for bankruptcy protection as a cure-all, it’s important to be aware of the various financial obligations you will still have to handle even after you go through the process of bankruptcy. Generally speaking, you can’t say goodbye to those huge student loan balances when you declare bankruptcy. However, the bankruptcy court may make an exception if you can prove that repaying your student loans would pose an “undue hardship” for you. In this situation, you have to prove that you cannot maintain a minimum standard of living and repay your loans, and that your financial situation is not expected to improve any time soon. Being unemployed isn’t proof enough. You must convince a court that you are practically unemployable and may not ever get a job. So it is extraordinarily difficult to prove undue hardship. That’s why even though there were 1.5 million personal bankruptcy filings in the U.S. in 2010, virtually none of those bankruptcy petitioners received an undue hardship ruling from a court allowing them to discharge their student loan debt. Bankruptcy courts will not discharge any child support payments or alimony you owe. If you owe back child support, you are still responsible for paying that debt. Any debts incurred from “the nature of support”, which are debts that are the result from a child’s care and medical expenses, are also not discharged by the bankruptcy courts. If you have outstanding tax debts to federal, state and local governments, you will be responsible for paying these off entirely. This includes any payments you charged on a credit card. However, there are some exceptions. If you have income tax debt that appeared on a tax return that you filed at least three years ago; on a tax return that was filed at least two years ago; the tax assessment is at least 240 days old; the tax return was not fraudulent; and you are not guilty of tax evasion, you may be able to have your tax debts discharged under Chapter 7 and Chapter 13. Keep in mind that Chapter 13 bankruptcy means you will need to set up a payment plan to repay some of your debt. Clearly, filing for bankruptcy isn’t necessarily the solution for making all of your debt disappear. 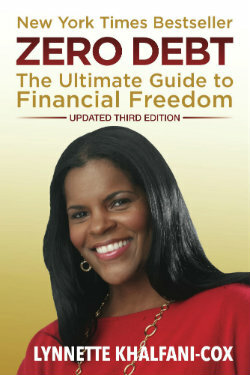 So if you were hoping that bankruptcy would free you from any of the debts mentioned above, that was wishful thinking. Instead, you should consider other financial alternatives, such as negotiating a lump sum settlement or coming up with an installment plan acceptable to your creditors. Since a bankruptcy filing will stay on your credit reports for up to 10 years, bankruptcy should only be used as a last-ditch strategy. But you should know that bankruptcy doesn’t have the stigma it once had. You can definitely rebuild your credit, finances and emotions after bankruptcy—and it won’t take a decade to do it. Also, if you truly need bankruptcy protection, don’t let anyone make you feel guilty about using this financial safety net. Bankruptcy is a legal process that exists for a reason. The simple fact is that people run into unexpected and unmanageable financial challenges due to a host of reasons—ranging from job loss to divorce. 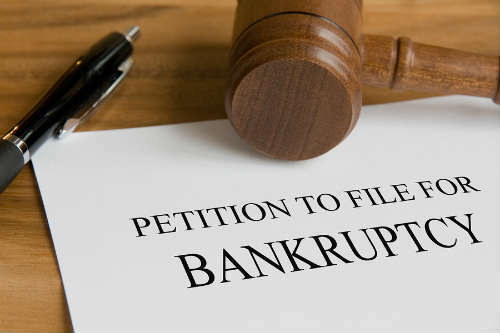 If you are unsure of whether you can or should file for bankruptcy, read my advice on when to file for bankruptcy protection (and when not to). Should you choose to file bankruptcy, it’s also usually in your best interest to find a good bankruptcy attorney to work with so that an experienced professional is guiding you through the process.